When it comes to wireless security systems, the Arlo Pro 2 is about as good as they come. These motion-activated cameras can operate on battery power and transmit audio and video via 2.4GHz Wi-Fi. Back in July, we praised the battery life of the cams and loved the flexibility of the battery-powered setup. 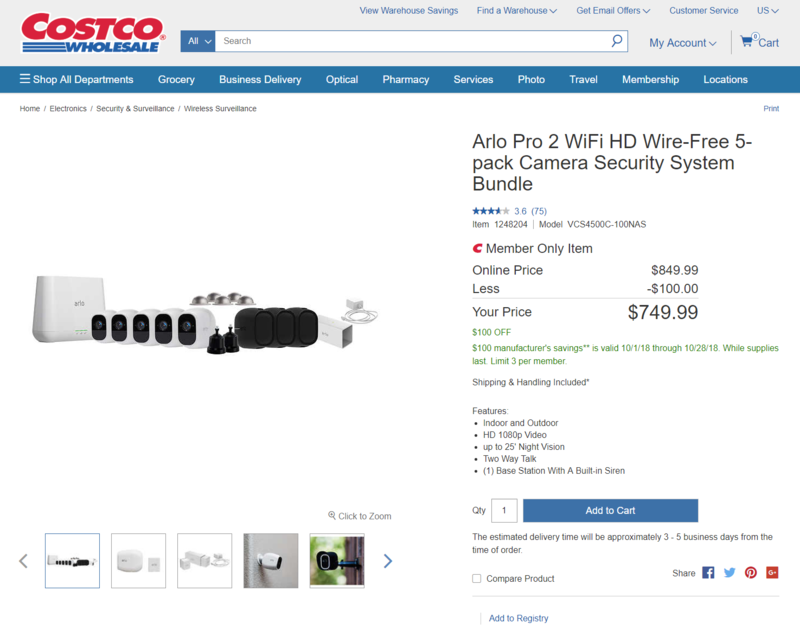 If you're interested in purchasing them, Costco has a five-unit bundle available for $750, which is $100 off the retail price. The last time we saw a deal on Arlo devices was back in July, and they didn't include the battery charger (a $50 value). 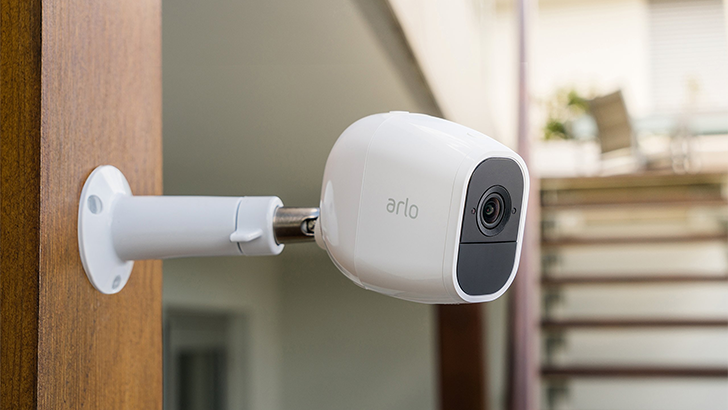 Setting up the Arlo system is relatively straightforward: simply press the sync button on the included base station, then press the sync button on the camera and you should be good to go. The base station does require an ethernet connection, so it's best to place it near your router. Given the complete wireless nature of the cameras, they can be placed just about anywhere as long as they're in range. The deal is online only and valid through October 28th, while supplies last.